The town I used to live near was famous for its coldness. The locals were proud of this. Then, someone (government?) decided that the "official temperature" should be recorded at the airport instead of at the radio station just outside of town (about halfway between town and my house). So, instead of being in a pasture, the "official" thermometer was now located around buildings and a large expanse of concrete. Guess what result that had-- it made the "official temperature" for town several degrees higher. We stopped regularly being the coldest spot in the lower 48-- at least, "officially". People complained but it wasn't switched back. I'm not saying that one reading was more accurate than the other, just that they were different and that there are good reasons for the difference which have nothing to do with "global warming". Yet Anthropogenic Global Climate Change (AGCC) believers would take this data and use it as indisputable evidence for global warming. 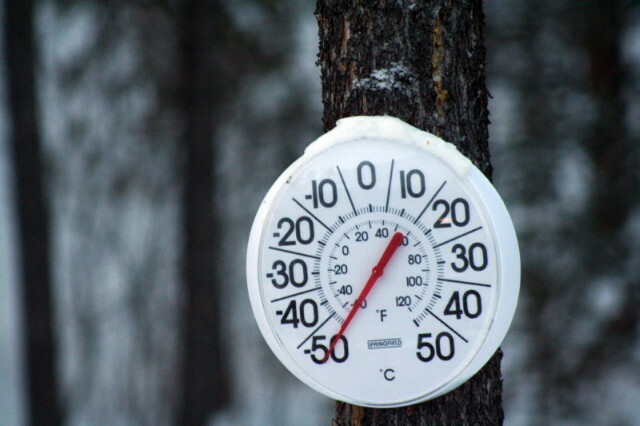 It is real, scientific, and believable-- the temperatures officially recorded for that town now really are warmer than the temperatures officially recorded there in the past-- and it is misleading. How often has this happened in other places? Has it happened this way more often than the "official thermometers" either staying in the same place or moving to a spot where the temperature would generally be lower? It's a good reason to remain skeptical.